Established in 1932, the firm concentrates its practice in business law, banking, real estate law, estate planning, probate and creditors rights laws. The three attorneys have a combined 50 years of practice experience and are well supported by a staff of highly qualified paralegals and secretaries. All of our firm's attorneys support the real estate and title insurance practice of the firm, and in addition, the firm's paralegals are highly qualified in those areas. The Law Offices of Parrish, Marcum, Hirka & Trokhan Co., LPA will represent your Estate Planning legal matters. Lee, son of the firm's founder Huntington Parrish, practices from the Hamilton office. 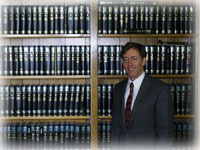 Lee graduated from the Ohio State university in 1965 and from the University of Cincinnati College of Law in 1968. Lee's practice includes a heavy concentration in real estate development, estate planning, and probate, and also encompasses representation of many businesses on issues of succession planning to acquisitions, divestments, and mergers.